The AN-FM-32000 is optical transmission equipment based on Application Specific Integrated Circuit (ASIC). 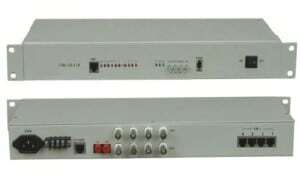 It integrates the traditional PDH multiplexer and 1000Mbps Ethernet optical transceiver, and can realize the 4/8/16/32 E1s and four 1000Mbps Ethernet data channel transmission over optical line of 1.25Gb/s, the four 1000Mbps Ethernet data channel share 1000M bandwidth. Multiservice Gigabit Ethernet and 32 E1 Fiber Optical Multiplexer, various distances & fiber types supported, SNMP & console port managed. The AN-FM-32000 is designed as a modular system with several optional E1 cards and power cards to meet the various application requirements. 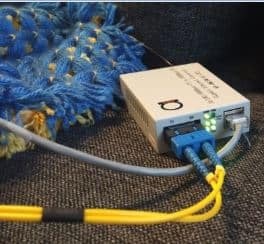 It provides one optical Gigabit Ethernet interface (SFP optical module) and three electrical Gigabit Ethernet interfaces (RJ45 connector) compliant with IEEE802.3 serial standard.